Worldwide's repair kits come in two sizes; the smaller one, selling for $485, is intended for fleets with fewer buses. The large kit sells for $685, and is said to be capable of covering 2,000 linear inches of tearing. Both kits include everything necessary for the jobs: heat gun, liquid vinyl, several different tex-ture pads, scissors, putty knives, touch-up paint, an instructional video and more — all housed inside a durable toolbox. Tim Brown, shop supervisor at Benjamin Bus in Northfield, Minn., bought a World-wide kit a year ago. He estimates the investment has already saved his 70-bus company about $1,600. Manchac says that number is conservative, at least according to the seat maintenance costs of fleets in the South, where heat and sunlight play a larger role in vinyl damage. "Down here," he says, "it's not uncommon for a fleet of 50 or 60 buses to spend $5,000 to $6,000 per year on seat repairs. 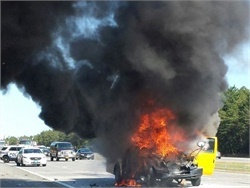 The hotter the temperature, the more seat damage you'll find." For more information about Worldwide Vinyl, call (800) 642-5456. STEP 1 — Clean and fill damage. The surface surrounding the cut should be free of dirt, oil and other contaminants. Use a vinyl cleaner to remove unwanted substances. Inspect the subsurface foam for missing material, and add as much as necessary — getting the fill from an unwanted cushion — to provide a firm, even foundation for the incoming patch. STEP 2 — Cut and insert patch. Find a piece of appropriately colored scrap vinyl and cut off a piece in the shape of the hole, but make it slightly bigger. Poke the material into the hole, shiny side up, and tuck it under the existing cover. STEP 3 — Melt patch into cover. Use the heat gun supplied with the Worldwide kit to melt the patch and surrounding vinyl together. Apply heat as evenly as possible over the entire patch area, moving the gun back and forth until slight whiffs of smoke appear. This smoke is a key indicator in the process because it's released at the point where the vinyl melts sufficiently to form a good bond. STEP 4 — Apply liquid vinyl. Evenly spread a thin layer of liquid vinyl across the patch area, then apply heat until the substance becomes transparent. Firmly press the surface with the texture pad that matches the seat being repaired. Repeat the process until the patch and surrounding cover are level and smooth. Several thin layers of liquid vinyl form a much stronger bond than a single thick one. STEP 5 — Paint repaired area. Apply a light coat of appropriately colored paint to the repair to blend it with the rest of the seat cover. 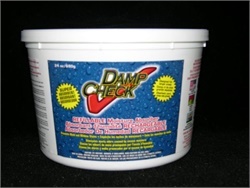 Author Paul Hartley is a freelance writer and photographer in Northfield, Minn.
BESI Inc. has added Damp Check to its product line to pull excess moisture from the air and reduce it to a level that prevents the growth of mold, mildew, rust, musty odors, and rot. 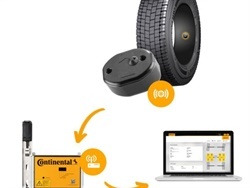 ContiConnect uses the Internet of Things to help enhance tire maintenance. The state Department of Education confirms that all 1995 and 1996 models, which accounted for a majority of the state’s thermal events, have been scrapped and replaced. 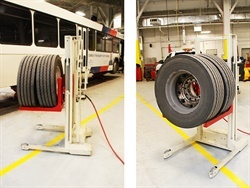 The WDA-500 high-lift wheel dolly is designed to enhance safety and performance in heavy-duty vehicle maintenance facilities. The Thomas Built Buses president and CEO discusses how the manufacturer has ramped up safety technologies to fulfill its vision of safely transporting students. 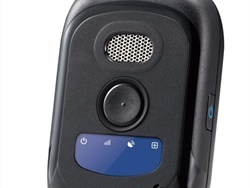 The Mobile Defender – Model S is a small device that employers can give to employees to use as a panic button during their shifts. 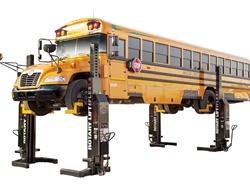 The supplier’s remote-controlled lift lineup now includes the Rotary Flex Max lift, which provides 14,000 or 18,800 pounds of capacity per column. 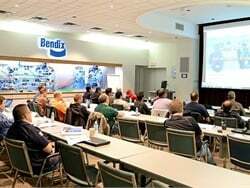 The TechForce Foundation’s update concludes the shortage is growing more severe, despite industry efforts and a slight uptick in new post-secondary degrees and certificates for future diesel technicians. 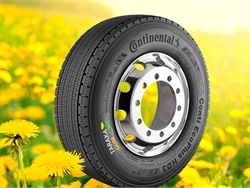 Continental’s new research laboratory, Taraxagum Lab Anklam, will be the base for future research on farming and the extraction process of natural rubber from Russian dandelions. 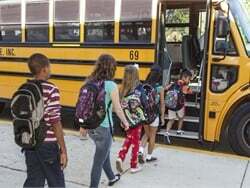 Feature articles that drew the most traffic on the School Bus Fleet website in 2018 included tips on school bus safety, electric school buses, and student behavior management. 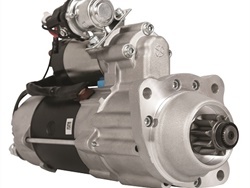 Prestolite Electric's PowerPro 5 features a planetary gear reduction design to provide high-torque, high-power starts for diesel engines up to 10 liters. 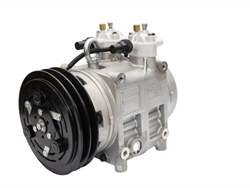 Two new cooling compressors target trends in bus manufacturing, featuring smaller designs and higher capacity. 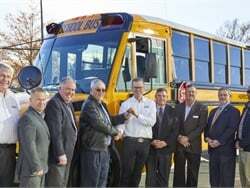 Henrico County (Va.) Public Schools receives the first Saf-T-Liner C2 school bus equipped with the new Detroit DD5 engine. In a letter to school superintendents, the state departments of Environmental Management, Health, and Elementary and Secondary Education encourage districts to enforce anti-idling laws.